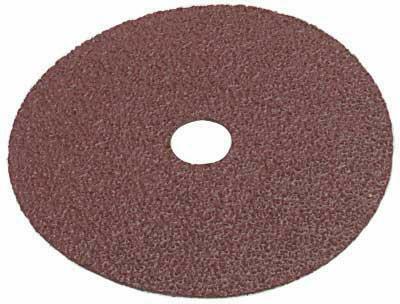 Abrasive Fibre Discs 4" 24 Grit. The discs are fitted to an appropriate backplate and are used primarily for removing rusted and damaged areas prior to priming and overpainting. Made by Mirka or Starchem, they are supplied in 4" and 4.5" in 24 and 36 grit. Supplied in packs of 25.